1. Which component is used as filtering unit? 2. What is the function of diode? 3. What is the meaning of zero reading shown in megger while conducting insulation test between conductors? 4. What is used to test polarity of MCB? 5. What is the common depth of pit required for earthing? 6. What is the size of galvanized iron plate used in plate earthing. 8. Where is three phase system used? 9. 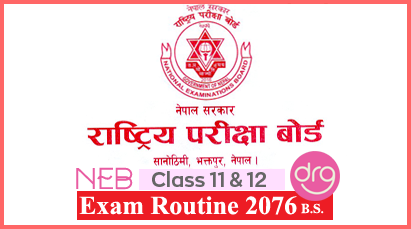 Write the full form of SPMCB and TPMCB. 10. Write the meaning of rotor. 11. What is the function of star-delta switch? 12. Mention any two types of circuit breaker. 13. Define a panel board. 14. Draw the wave form of half-wave rectifier. 15. Mention the types of testing process of insulation. 16. What are the qualities required for good earthing? 18. What are the functions of DOL? 19. What is an alternator? 20. Write any four functions of circuit breaker. 21. What is the working principle of centre-trapped full wave rectifier? Explain with necessary diagrams. 22. Explain the procedure of insulation test between conductors with required diagrams. 23. Describe the method of rod earthing with necessary diagram. 24. List out the advantages of three phase system over single phase system. 25. Draw the connection diagram of automatic star-delta starter with a squirrel cage induction motor. 26. Differentiate between overhead distribution and underground distribution supply system. 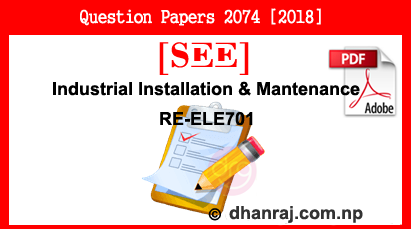 0 Response to "Industrial Installation & Maintenance | Exam Paper | 2074  | RE-ELE701 | SEE"